Yes, I know I'm a shrimp lover. 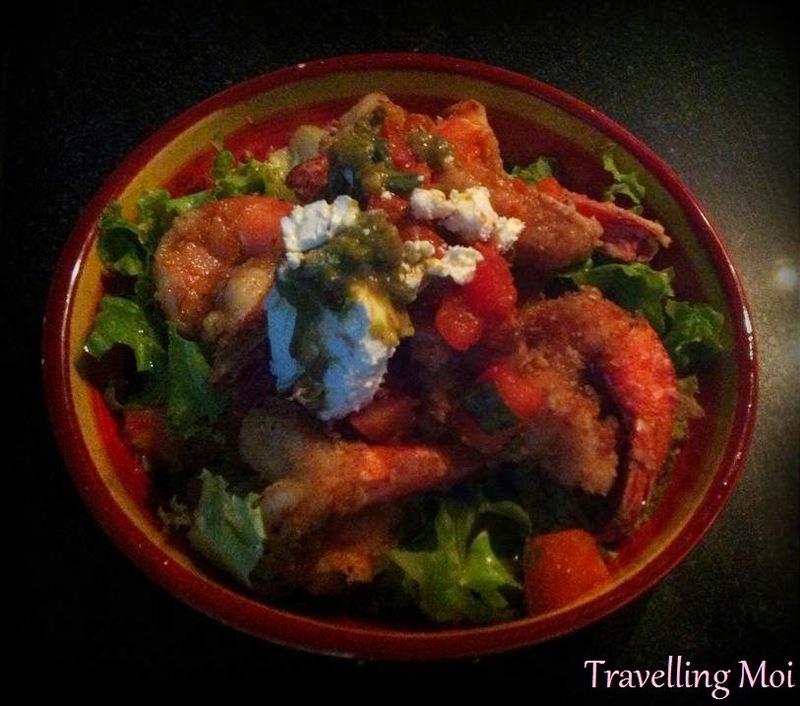 Most of my shared recipes here are shrimp dishes. Anyway just came back from an exotic island holiday and guess what I have been eating? Shrimps!!! Mix McCormick perfect pinch garlic and herb, salt and pepper together with the prawn. Set aside for 15 minutes. 6) Prepare salad, chop the lettuce leaves and olives and place salad in a bowl. And crushed avocado on top. Makes about 2 servings. Salt, and pepper. Refrigerate for 2 to 4 hours to blend flavors.